The USDA thinks "family farm” means something different than you do. Family farms might be mostly stock images. According to the USDA’s definition, those farms definitely are “family farms.” But so, under this definition, are multi-thousand-acre corporate entities using automated machinery to grow genetically engineered corn. The Iowa Center for Public Affairs Journalism looked more deeply into the definition and why it matters. 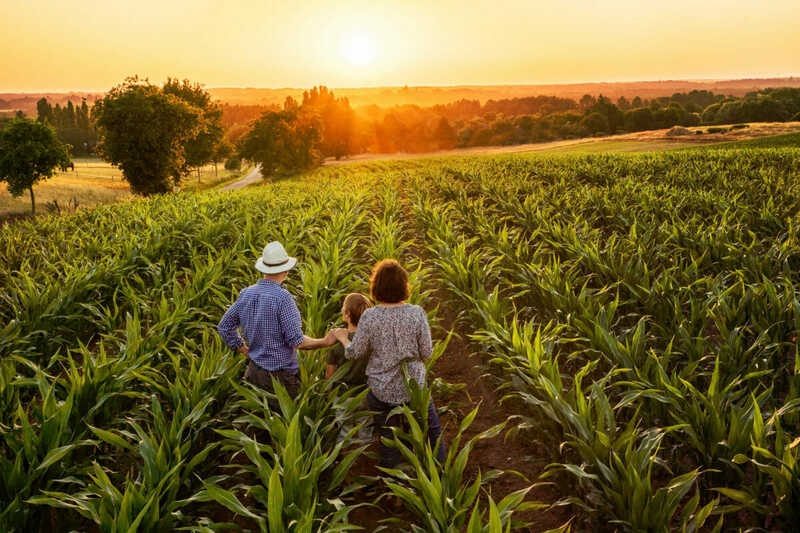 The USDA’s definition of family farms includes “any farm organized as a sole proprietorship, partnership, or family corporation.” Size of the farm is not a factor; neither is the style of agriculture. A family farm may not even have a family that owns or works the land. In fact, according to the USDA, almost 96 percent of American farms are technically “family farms,” which begs the question: why even bother with this designation if so few fall outside it? The Iowa Center’s article focuses on the state of Iowa, where about 90 percent of the state’s farms are “family farms,” yet less than seven percent are small or medium-sized farms that are owned by one family. The issue with such a broad definition of family farming is primarily in the discourse. Aid is divvied up by revenue among family farmers, with additional programs going to some specialized farmers, like young or beginning farmers, organic farmers, and sustainable farmers. But the Iowa Center also argues that the lack of definition of small family farmers beyond merely “a farm with a smaller level of revenue” hurts alternative farmers, those who avoid conventional products and can, in many cases, be very valuable to local economies. “The USDA does not have data on the number of these non-conventional family farms,” writes Molly Hunter in the article. And without terminology and data to make sure these farms are properly served, how can we encourage them?